Businesses about to make strategic decisions need adequate support in the form of market intelligence or confirmation of their own analyses. Considerations for embarking on new ventures – from macroeconomic conditions to the immediate competitive environment – are the centrepiece of market research aimed at capturing a market’s potential. Who are the major players on the market? What market entry strategy to adopt? In a fast changing world, it is extremely important to thoroughly research a market before taking any business steps. Information on new players, products and advertising campaigns is key to planning a corporate development strategy. Market research involves a comprehensive overview of the market, making it possible to identify market niches and determine growth prospects, including potential barriers and formal restrictions to entry. The end product of market research is a report containing an overview of market conditions with the agreed level of detail, as well as an assessment of the market’s value and description of entry barriers. Usually, as part of a research project we prepare an entry strategy analysis under several different scenarios (best case, worst case and moderate). By employing complementary data collection techniques and a cross-verification model, we arrive at the most complete and accurate picture of the market. We begin each market research project with a desk research exercise. Subsequent steps depend on the research area. It may be consumer research – product concept testing, price testing or expert interviews. PMR has a team of in-house experts engaged, on a continuous basis, in research covering several key branches of the economy, based on regularly updated market data. 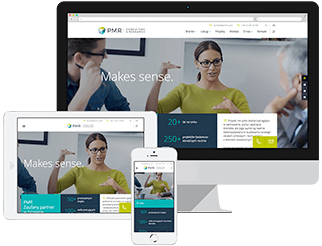 For the purposes of market research, PMR has developed a proprietary methodology called PMR Market Insight, a comprehensive tool used to prepare broad-based market analysis reports.